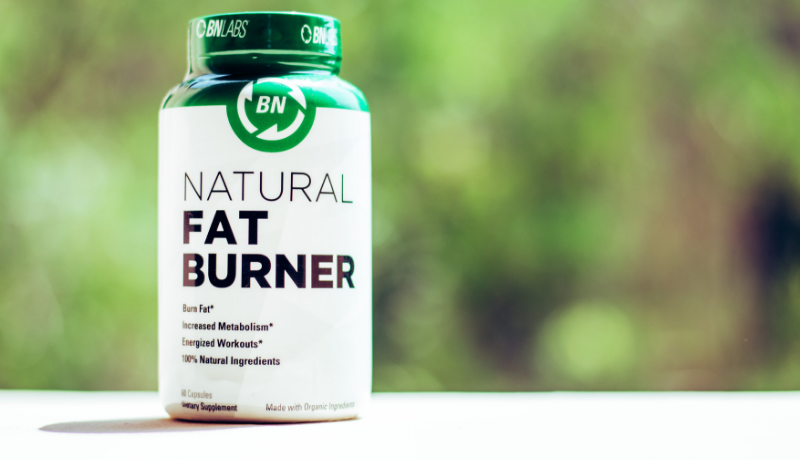 What Natural Ingredients Can Help With Weight Loss? The best way to lose weight will always be a combination of a healthy diet and regular exercise. No matter what your physical condition, your physician will almost always recommend that you make healthy lifestyle changes first. When it comes to weight loss, there is no “miracle pill” that will safely help you take off tons of extra weight and keep it off. However, there are natural ingredients that are completely safe, and can be an effective aid in supporting your weight loss efforts, or help you get past plateaus in your progress. While these ingredients will not cause you to lose 20 pounds overnight, they can help curb a hearty appetite, boost your energy levels during workouts, and help your body flush out fat that’s been burned off. Many people experience side effects like stomach aches, headaches, and a racing pulse when they take weight loss products that contain ingredients like phentermine. Unfortunately, due to the lack of proper FDA regulation, these products often end up causing long-term damage to the health of users and are frequently pulled from shelves when group lawsuits begin to crop up. Choosing weight loss products with natural ingredients is a great option for people that hate the feeling of getting “jitters” that are common with products laced with artificial stimulants, as well as those who are concerned about the safety of artificial ingredients. Ashwagandha has made a huge splash in the world of natural foods in recent years, and it’s no surprise; it’s been used in Aryuvedic medicine for centuries to help increase mental focus, boost energy levels, and improve overall vitality. It also decreases cortisol levels, the hormone responsible for causing your body to hang on to stubborn fat reserves. Ashwagandha has also been shown to decrease fasting blood sugar levels, which means that it may help to improve the way the body metabolizes glucose. High blood sugar levels trigger the pancreas to release large amounts of insulin to store nutrients, which ends up driving glucose into fat cells where it is stored for later use. High insulin levels can lead to obesity, type-2 diabetes, and metabolic syndrome. Decreasing fasting blood sugar levels can help prevent this kind of long-term damage to the metabolism. Milk thistle contains an active compound called sylmarin that has been shown to help regulate blood sugar levels in several clinical studies. Regulating blood sugar levels can be a key piece in the weightloss jigsaw puzzle because it directly affects hunger levels, making it easier to reduce caloric intake. Olive leaf is rich in antioxidants, primarily a bioactive compound called oleuropein. This is the phytochemical responsible for giving olives their distinctively pungent flavor. In several animal and human studies, oleurpin was shown to be effective at reducing blood glucose response to foods. Many studies have been conducted on the effects of rhodiola rosea, an herb that grows in the mountains of Asia, Europe, and Alaska. The primary way it can help weight loss is by regulating your mood and energy. It helps boost seratonin production, which can have a positively impact on your willingness exercise. It also produces lipase, a substance that breaks down fat in the body (especially visceral fat). It can also help boost oxygen uptake during workouts and facilitate regeneration of new red blood cells. Bioactive compounds in green tea called EGCG can help increase norepinephrine hormone levels, which are responsible for telling cells to break down fat. When this broken-down fat is released into the bloodstream, the body can use it as energy. Ultimately, it can help transport fat out of the system by making it available to metabolize. Green tea extract also contains low doses of caffeine, which can increase metabolic rate approximately 3-5% per day. Caffeine occurs naturally in several different plants, most notably in coffee. Caffeine blocks an inhibitory neurotransmitter called adenosine, which increases the amount of neurons fired in your brain and releases extra feel-good neurotransmitters like dopamine and norepinephrine. This is the science behind the mental and physical “pick-me-up” you feel after a strong cup! This extra energy can not only boost athletic performance, it can boost your resting metabolic rate and curb your appetite. A recent study showed that dandelion root can work to inhibit pancreatic lipase, an enzyme that is released during digestion to help the body break down and absorb fat. Blocking this enzyme essentially means that fat cannot be absorbed through the digestive system. Dandelion also works as a natural appetite suppressant. Combined with a healthy diet and physician-approved exercise plan, natural weight loss is attainable and safe for most people. ALWAYS consult your physician before adding any type of weight loss supplement to your diet, particularly if you have existing health problems. Any comments, questions? Let us know below!